Wind farms are probably killing tens of thousands of bats a year, even where risk assessments have been carried out to prevent the deaths, a study has found. 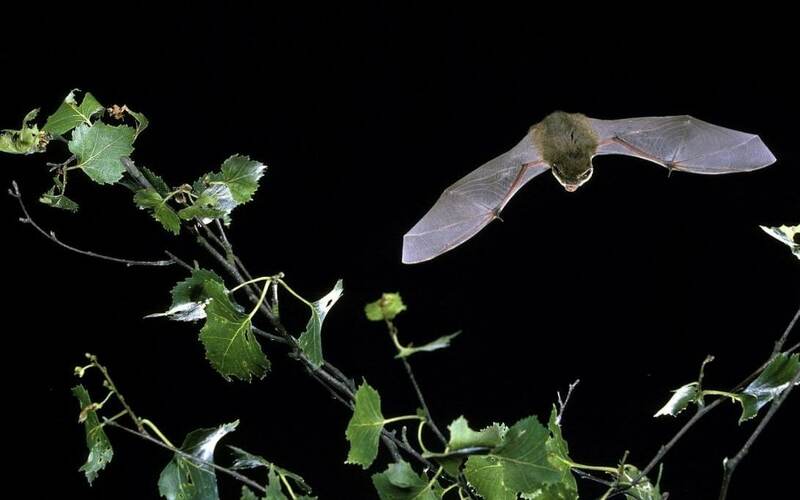 Researchers at the University of Exeter used sniffer dogs to locate the bodies of stricken bats near turbines to find out the scale of the problem. If the figure was extrapolated to all of Britain’s onshore wind farms it could mean that around 80,000 bats are being killed each year by turbines. The research also showed that the risk of bat death increased by 18 per cent for each extra metre of blade length. Some individual turbines were found to kill around five bats a month. Dr Fiona Matthews, of Exeter University, who led the research, which was partly funded by the government, said operators should be encouraged to switch turbines off during peak migration and breeding seasons, such as summer nights. The scientists think that bats may turn off their sonar when high up because they don’t expect anything to be blocking their path. They may also be attracted to insects which gather round the blades so an area that seemed clear in a pre-construction risk assessment could end up having any bats.